Found 3 file extension associations related to Quick Pallet Maker and 1 file format developed specifically for use with Quick Pallet Maker. 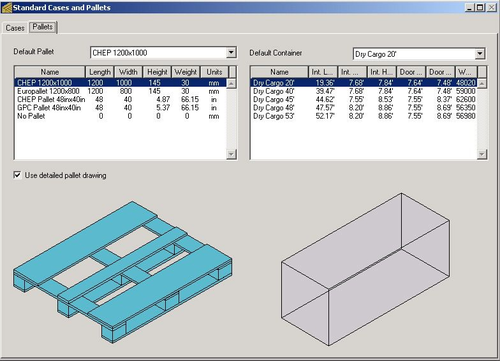 Quick Pallet Maker is an easy to learn pallet loading/ package design software application that allows the user to calculate the optimal secondary package dimensions and pallet arrangements, thus reducing shipping costs. The user enters primary package or box dimensions and rapidly assembles optimal pallet and container configurations that can be viewed with easy-to-understand graphics. If you need more information please contact the developers of Quick Pallet Maker (Koona Software), or check out their product website.